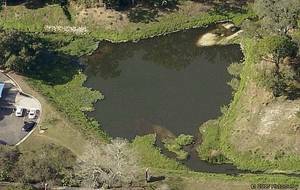 Create a wetland. Add sedimentation sump. Stabilize banks with native vegetation, rip-rap and geo-fabric. Add pilot channels to direct low flows to sediment sump. Bank stabilization will reduce erosion and retain sediment, thereby improving flood control conditions. 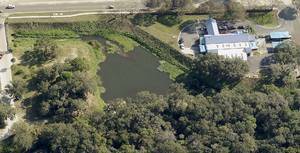 Wetland creation will aid in reducing the pollutant load in streamflow. Re-introduction of native vegetation will reduce maintenance requirements.